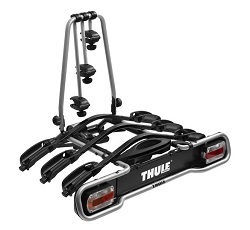 Thule Towbar Mounted Cycle Carriers and Bike Racks are the most secure method of transporting bikes on the rear of the car. 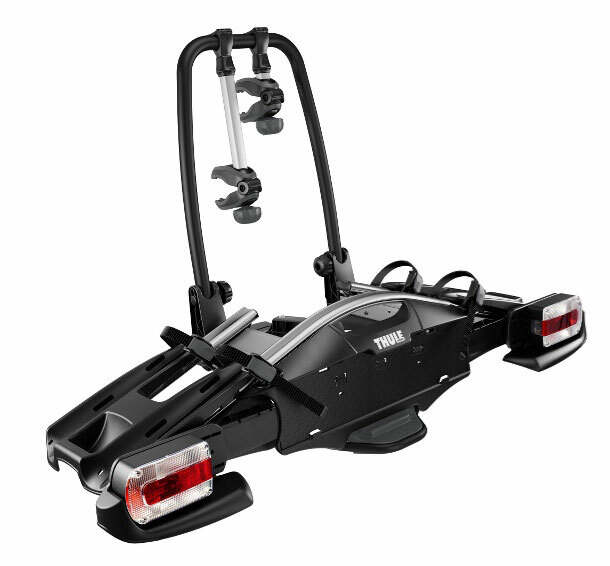 The weight of both the carrier and bikes is supported by the chassis of the vehicle. 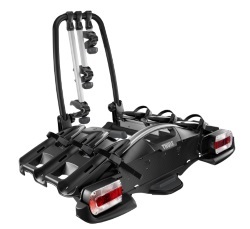 Unlike Rear Mounted Cycle Carriers that attach to the body of the vehicle. 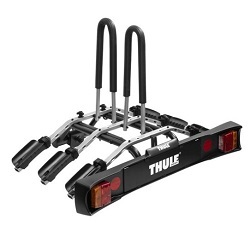 Thule Tow Bar mounted bike racks fit standard, ALKO and Swan neck tow bars so if you change your vehicle you shouldn't need to change your cycle carrier. 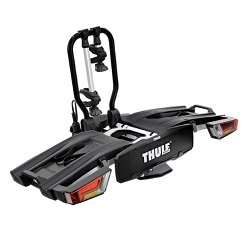 The THULE VeloCompact 2 is a lightweight and compact 2 cycle carrier that clamps onto the towcar using a simple hand operated clamping system.  The easy to use patented coupling is suitable for all types of towbars. 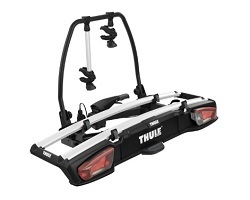 The THULE VeloCompact 3 is a lightweight and compact 3 bike carrier or 4 bikes with an additional adapter. 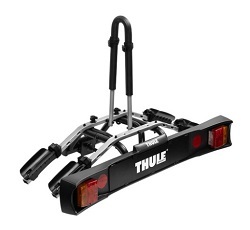 The VeloCompact clamps onto the towcar using a simple hand operated clamping system. 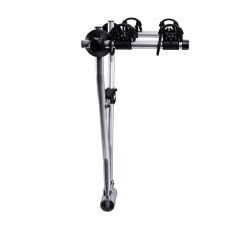 The easy to use patented coupling is suitable for all types of towbars. 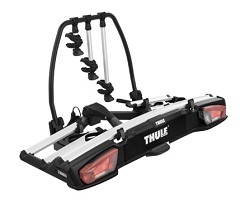 The THULE EasyFold XT 2 is a fully foldable tow bar cycle carrier for 2 bikes, ideal for storage and for putting in the boot whilst your cycling. The easy to use patented coupling is suitable for all types of towbars. 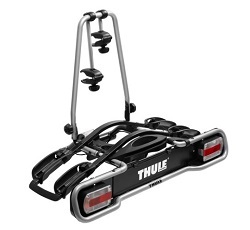 The THULE EasyFold XT 3 is a fully foldable tow bar cycle carrier for 3 bikes, ideal for storage and for putting in the boot whilst your cycling. 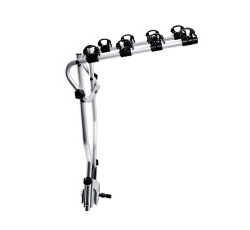 The easy to use patented coupling is suitable for all types of towbars. 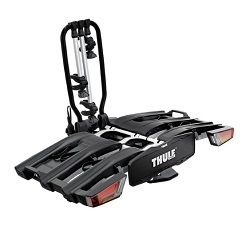 A 2 bike carrier with a lightweight, basic design and hand-operated tilt to allow for boot access. 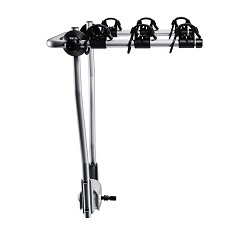 A 3 bike carrier with a lightweight, basic design and hand-operated tilt to allow for boot access.